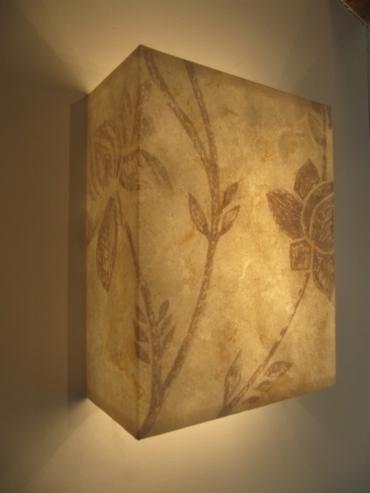 This is a bespoke hand painted wall light which was commissioned by a client to work with her existing wall paper. Hannah chose to "echo" the wall paper using natural pigments and stains. 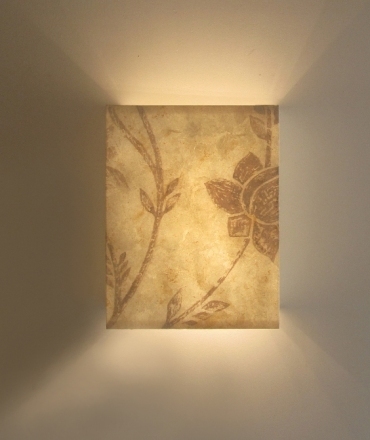 So if you have a child's bedroom and have an idea of a drawing or image you would like echoed in a wall light, or if you have a wall paper that you would like to "connect" with the lighting, please get in touch to discuss your ideas.